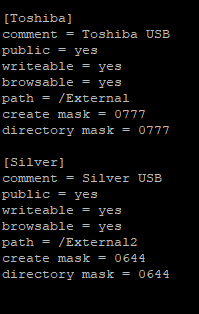 The silver directory works. 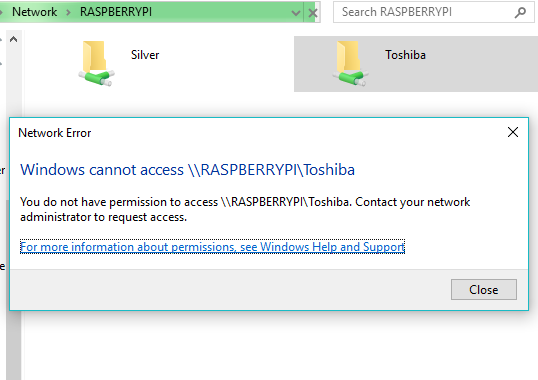 however toshiba does not Is there anyway to have both USB drives accessible at the same time? Browse other questions tagged permissions raspberry-pi samba or ask your own question. How to display disk capacity via Samba? Raspberry Pi NAS configured with samba and webmin not giving me permission to create folders?